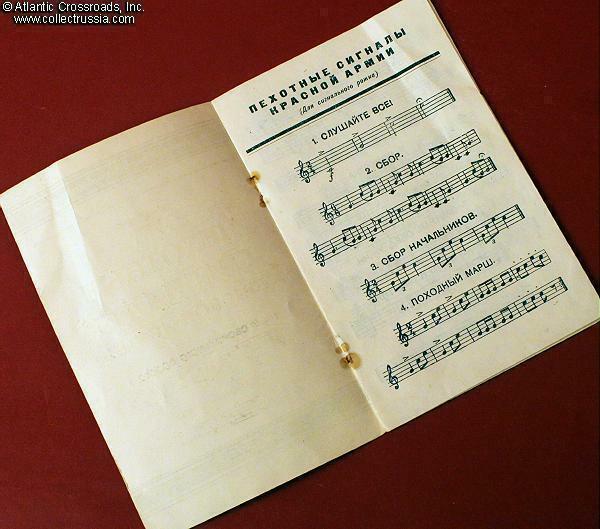 "Red Army Infantry Signals for the Bugle," official manual with twelve tunes for regimental buglers to play. 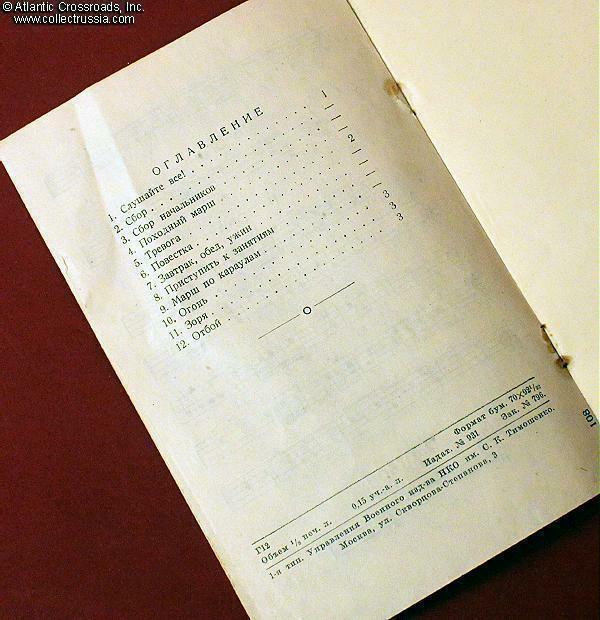 "Red Army Infantry Signals for the Bugle," official manual with twelve tunes for regimental buglers to play. 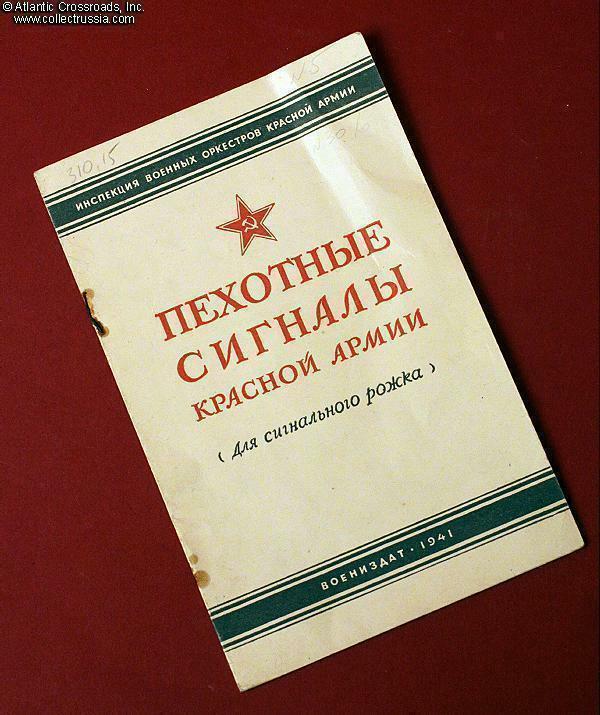 Published in Moscow in 1941 by "Voenizdat" (Military Publishing House). Paper, 6 3/4" x 4 1/4". Four pages, not including the cover. Very good condition. 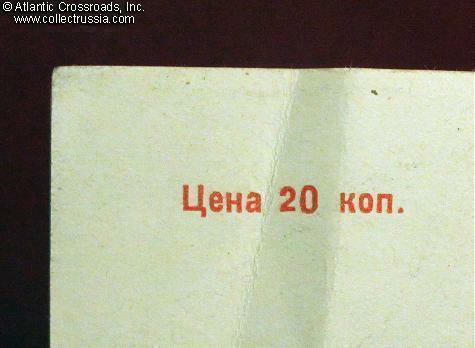 Light stains where the staples rusted (simply from ambient moisture in the air - a common occurrence with virtually all Soviet-made staples). A few light creases but no folds other than the main, central fold with the staples.